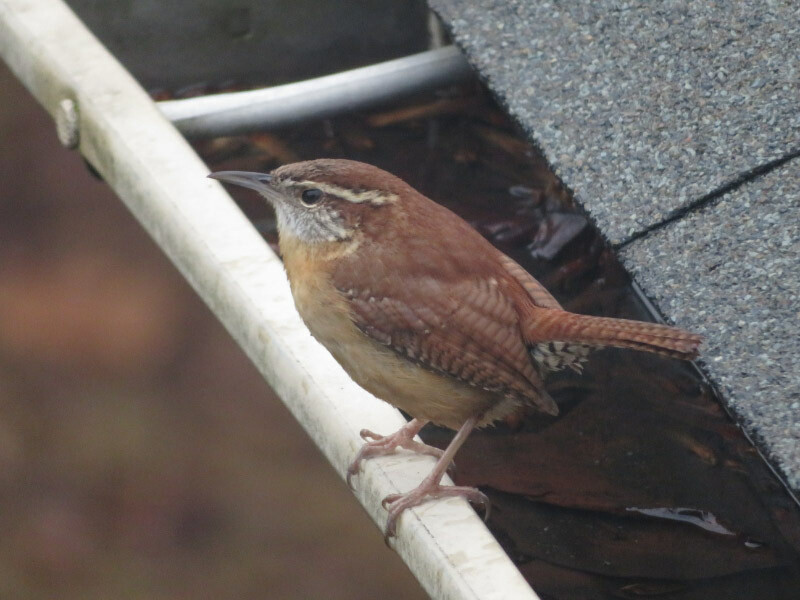 I was at home more in January than December…and saw a lot more birds through the window. I posted about the bluebirds back on the 16th but they have continued to visit our bird bath and deck; most of the time I don’t have my camera but I did manage to photograph one just yesterday – perched on the old weather station pole. 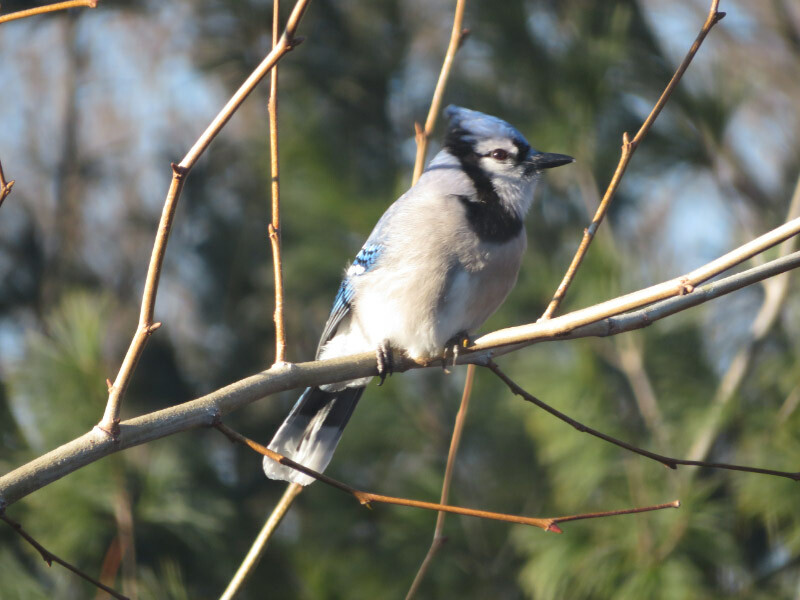 The blue jays are regular visitors too. 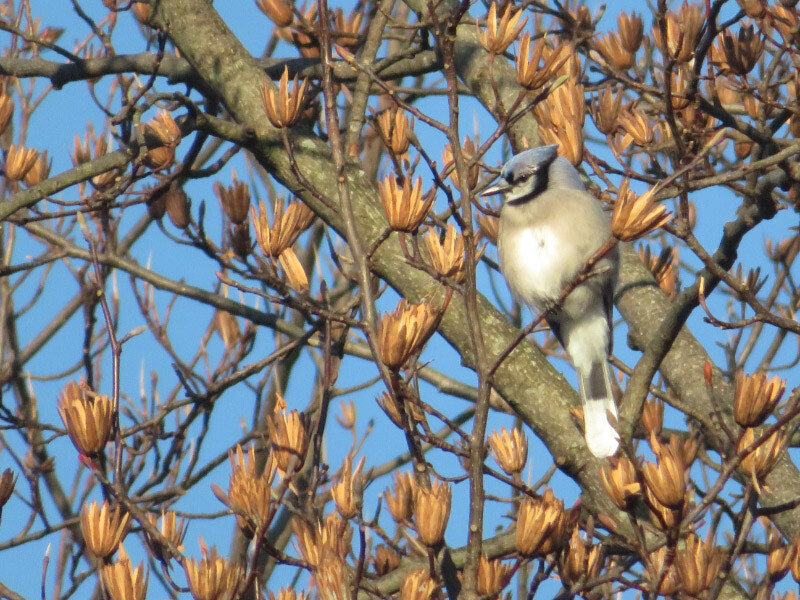 They come to the bird path, the maple, the sycamore and the tulip poplar…staying still long enough for good pictures. The cardinals alert me to their presence with their chirps. 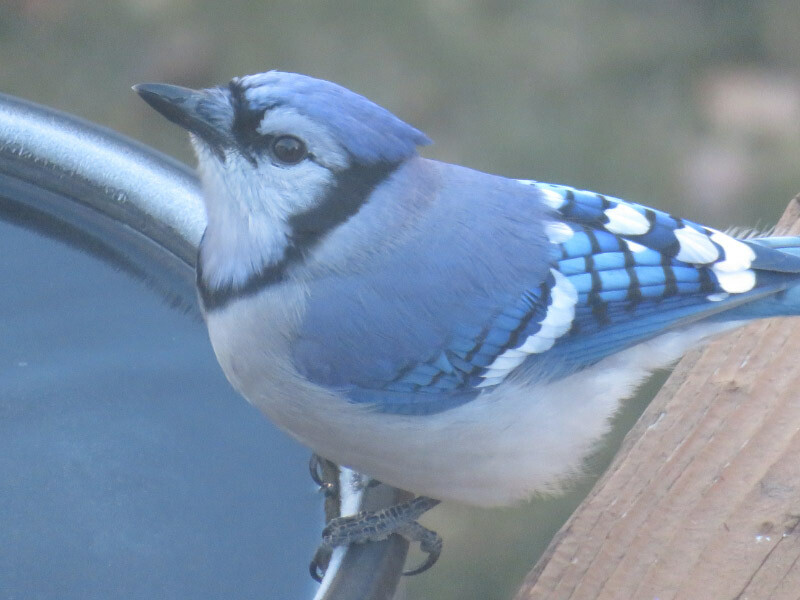 Both the male and female come to the deck for seed and I often see them in the trees around the yard and into the forest. 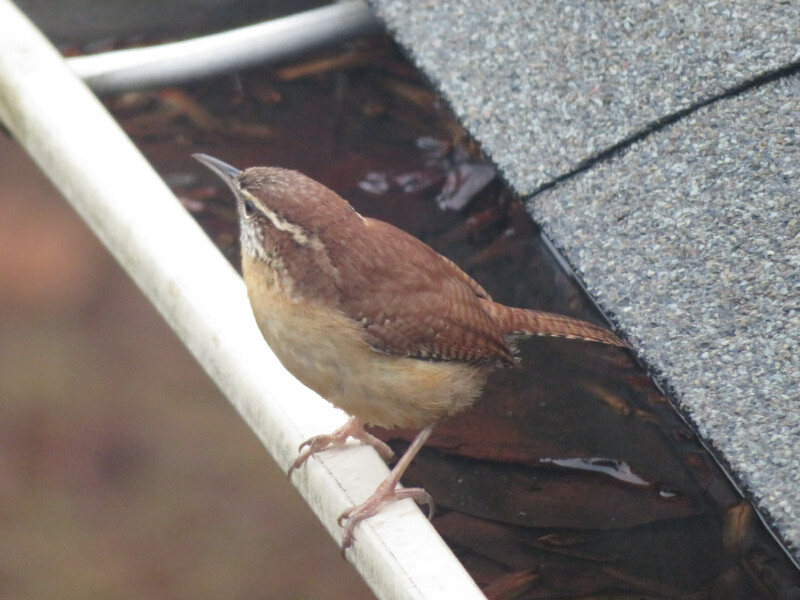 When we had the very cold days, the Carolina Wrens were entirely missing; I didn’t see them or hear them. But they have returned now that it is a little warmer. They are heard more often than seen. The doves were missing during the cold days as well but now they are back and frequent visitors to our deck. More birding through the window from this month in tomorrow’s post.